If you own a 2004-2007 Subaru WRX STI you should hold on to it. Hagerty says it’s going to be a collectible. The first-generation Subaru WRX STI was an instant hit with performance fans when it arrived on U.S. shores in late 2003, and it’s still popular today. You still see lots of older STIs on the road with their loud rumble annoying the neighbors. If you own a 2004-2007 Subaru WRX STI you should hold on to it and don’t sell. Hagerty released their “hot list” of future classics and the first-gen Subaru STI made their 2019 Bull Market List 10 Best Collector Cars to buy this year. They say it’s destined to be a highly-collectible model. The 2004-2007 STI had bigger wheels than the iconic WRX, a big wing, suspension upgrades, and a 2.5-liter flat-four with 14.5 psi of boost to make 300 horsepower and 300 pound-feet of torque in a car weighing 3300 pounds. If you were lucky enough to get a WR Blue Pearl exterior paint with Gold BBS Alloy wheels, it could be the one worth the most today. Subaru has just recently gone back to iconic WR Blue Pearl with Gold wheels livery for the 2019 motorsports season. The Subaru STI Rallycross, stage rally and WRX STI Nurburgring 24-hour car will sport the old school WR Blue, Yellow and Gold livery from the WRX rally days. So if you own a 2004-2007 Subaru WRX STI, you should hold on to it. While a good majority of those model years have been highly modified by their owners, there are a few stock models around, though not many. Hagerty values the 04-07 STI at $25,700-$33,700 today. 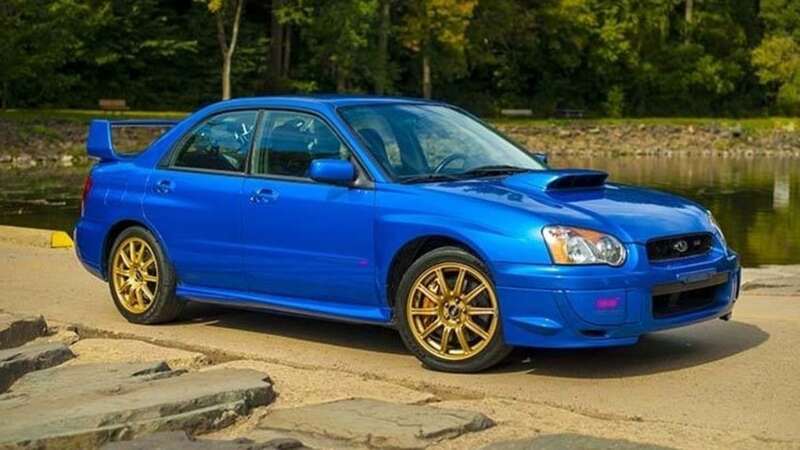 The 2004 Subaru WRX STI sold for $32,000 when it was new. So keep your first-generation Subaru WRX STI because it’s a good bet the price will continue to go up, especially if you have a good clean original example. A 2004 WR Blue Pearl with Gold BBS Alloy wheels could be the one worth the most. "Hagerty values the 04-07 STI at $25,700-$33,700 today." Maybe if you have one that's never been driven and has been stored properly it could be worth $25.7K, but Blue Book and (more importantly) actual listings on web sites of actual cars with actual miles don't even get close to that, let alone $33K. There's one listed at $27K but that claims to have extensive modifications including 700whp, so not a very useful data point for one that's stock or mostly stock. I hope you're right because I'd love to get $25.7K for mine, but that's not happening. What about a wrx sti 2005 with a new stock short block with low miles on the chassis.